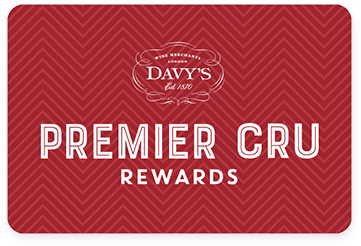 Premier Cru Rewards - Purchase this today and earn 52.5 points to redeem for free wine and gifts. Famous for its premium port’s, the Symington family launched their Douro DOC wines in 2000 and the result is stunning. Quinta do Ataíde is an vineyard of 82 hectares, the largest of the estate’s in the Douro Superior. Planted with Touriga Nacional in the late 1970s, early 1980s, the vines have now reached an ideal state of maturity. Wonderfully expressive aromas of fragrant violets, typical of the Touriga Nacional grape. Rich and full-bodied, showing dark chocolate, black fruits and peppery spice. Aged for 12 months in American oak barrels. Great with red meats and spicy dishes. Portuguese red wine from Douro Portugal, made with Touriga Nacional. The Symington family is a premium wine producer who gradually came to own some of the most famous Port companies. Andrew James Symington was first introduced to Port via Graham’s, founded in 1820. Today they own 27 quintas, including Quinta do Vesúvio, one of Portugal’s legendary vineyards. All vineyards are based in the Alto Douro and are the foundation for the different wines of Graham’s, Cockburn’s, Dow’s, Warre’s and Quinta do Vesúvio, as well as of the Symington family’s Douro DOC wines, launched in 2000 under Paul Symington. They have also started a joint venture with Bruno Prats in 1999. The family’s long winemaking experience in the Douro has encouraged new techniques. Led by Peter and Charles Symington, the team adopted the first prototype of modern treading lagares in 1998. These new lagares are the modern equivalent of traditional foot treading which for centuries produced the finest Ports. They own two important wineries, located in the Douro at Quinta do Sol, for the vinification of grapes purchased at each vintage from over 1,200 farmers across the Douro Valley. These two wineries are responsible for the production of the mainstream Ports and Douro DOC wines. In addition, the family have seven small specialist wineries at the family’s most important quintas. Each of these wineries has its own winemaking team whose task is to produce the best possible wines from the grapes of each vineyard. In 2009, Dow’s 2007 Vintage Port was awarded a perfect 100 Points by Wine Spectator and still is the only Port produced in the 21st Century with 100 Points. Wine Spectator ‘Wine of The Year’ was awarded to Dow’s 2011 Vintage Port, ranked Nº1 in the TOP 100, whilst Chryseia 2011 Douro DOC is ranked Nº3, a historic achievement for the Douro Valley.